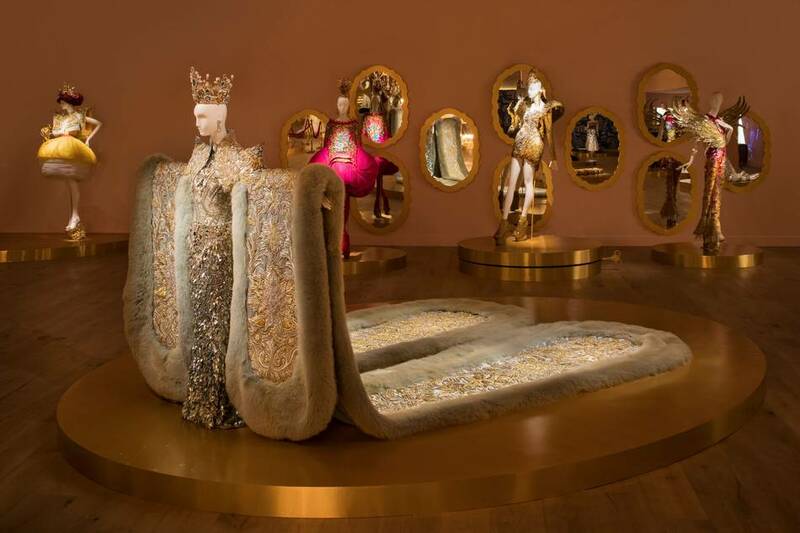 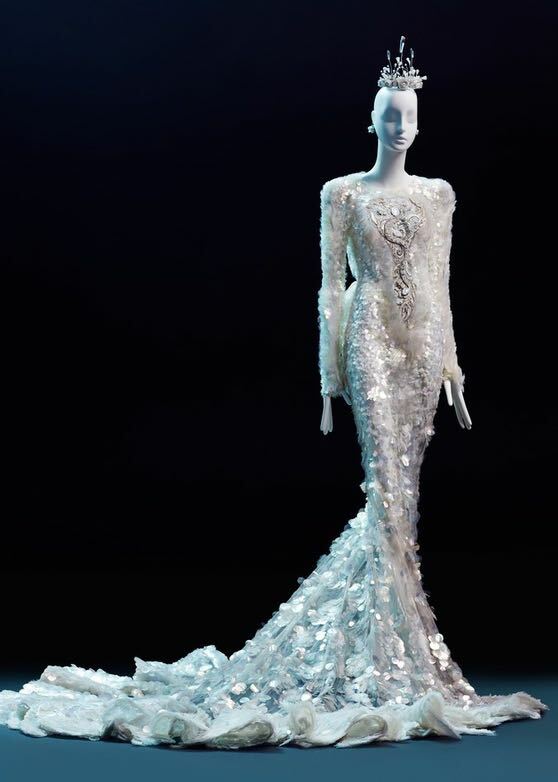 Guo Pei: Couture Beyond is the first Canadian exhibition devoted to the work of Guo Pei, China's preeminent couturière. 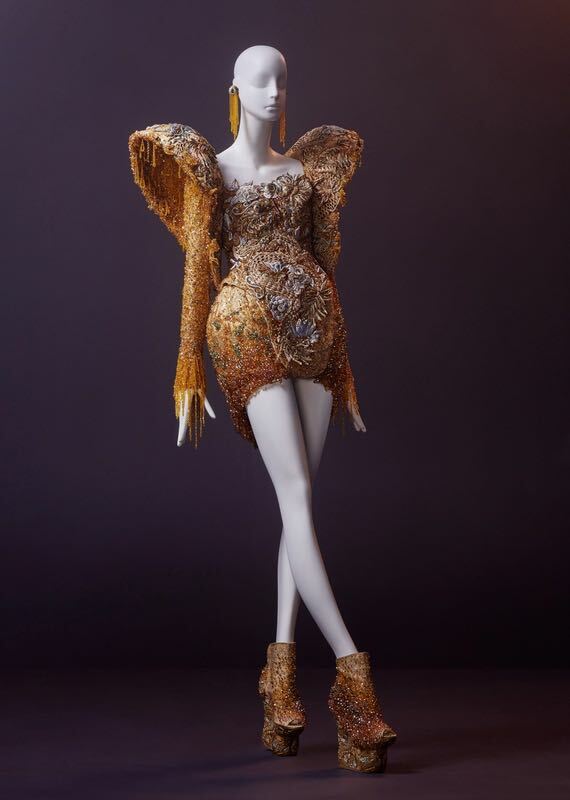 This mid-career survey features more than forty complete looks from Guo Pei's most iconic runways from 2006 to 2017. 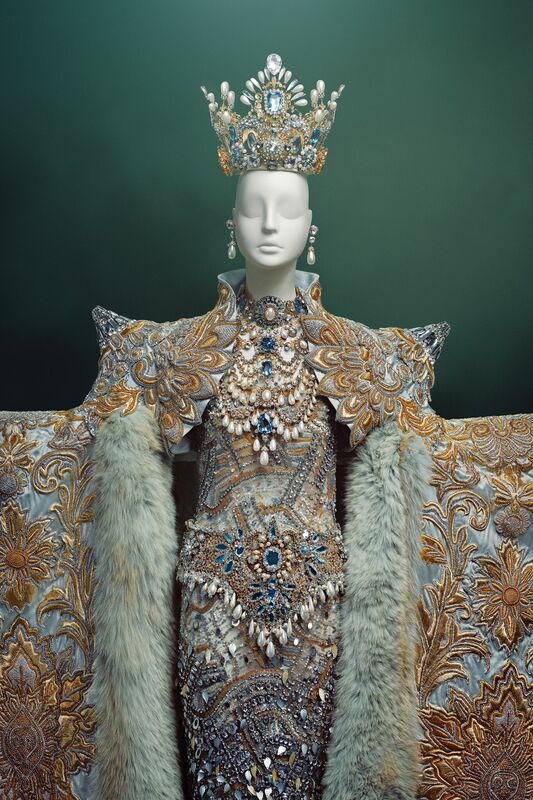 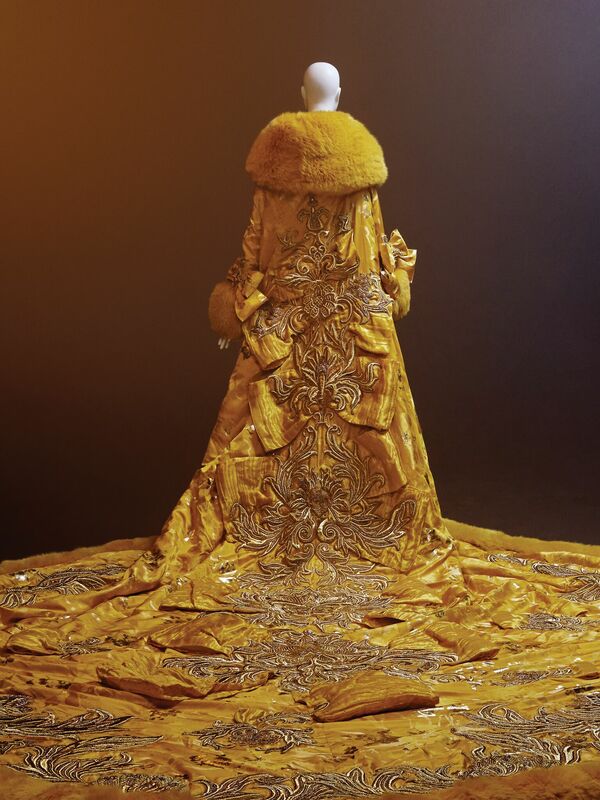 In her theatrical, extravagant creations, Guo Pei combines contemporary aesthetics, production methods and materials with ancient tradition, evoking Chinese history and mythology in her craft techniques, fabric selection and imagery. 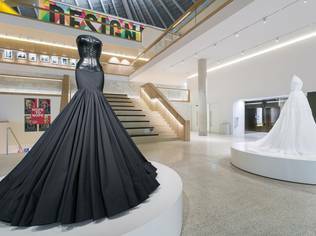 The exhibition provides a comprehensive overview of her evolution as a designer as well as her contribution to global fashion culture. 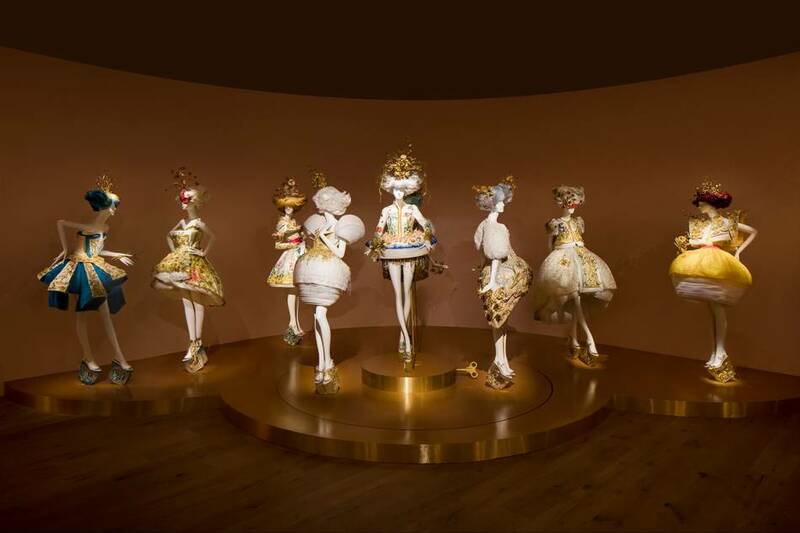 Tracing the evolution of Guo’s design sensibility over ten years, Guo Pei: Couture Beyond begins with significant examples from her early collections, Samsara (2006), An Amazing Journey in a Childhood Dream (2008) and 1002 Nights (2010), with a lively installation in the Gallery’s rotunda of the collection from Guo’s 2015 MAC Cosmetics collaboration. 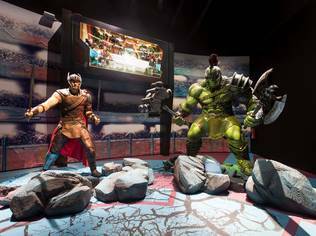 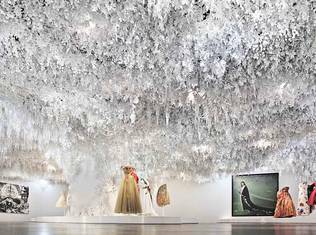 It continues with a number of works presented in Guo’s Legend of the Dragon (2012) collection, which animates the mythical dragon motif that figures prominently in the Chinese zodiac. 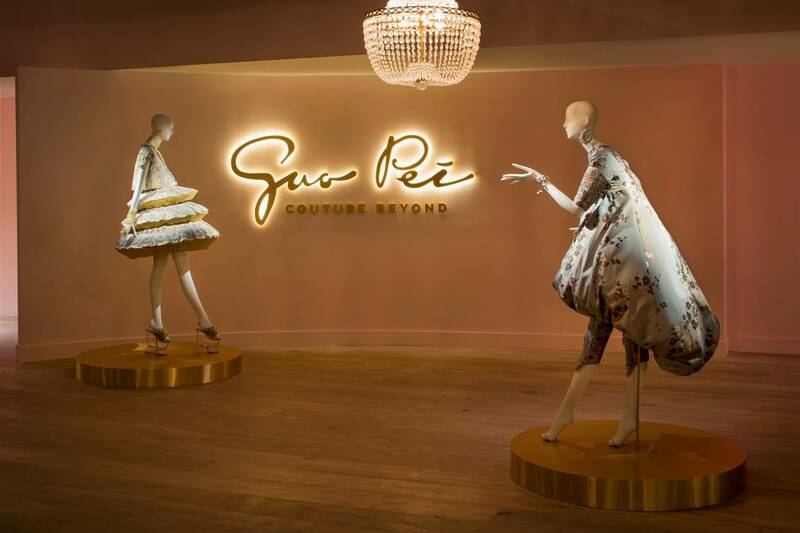 Guo’s critically lauded Paris Collections conclude the exhibition: shimmering metallics from Encounter (fall 2016) and ornate garments inspired by Switzerland’s Cathedral of Saint Gallen in Legend (spring 2017). 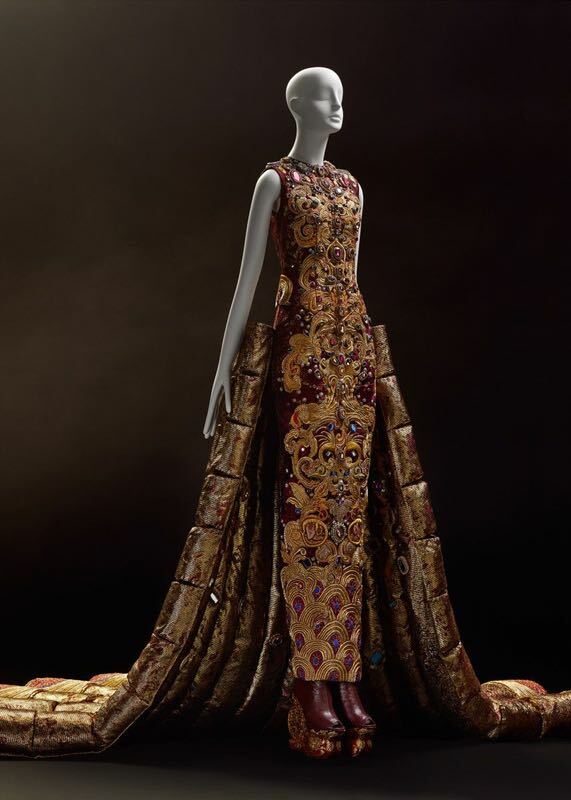 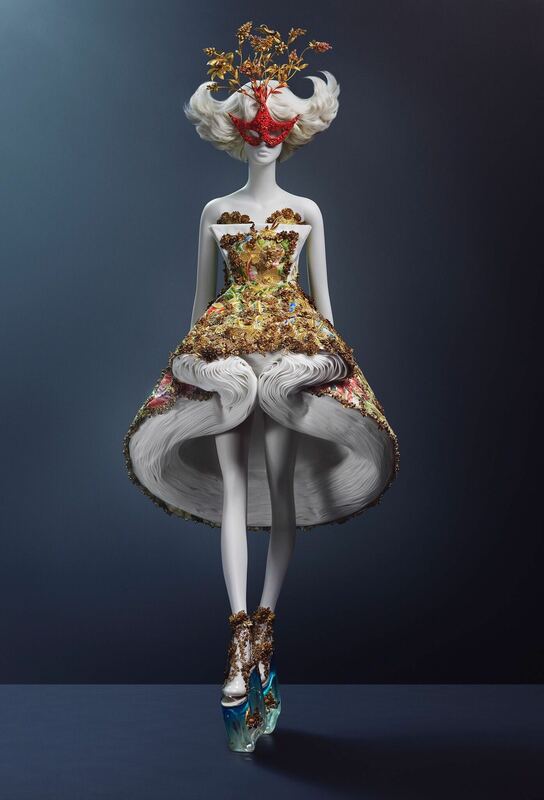 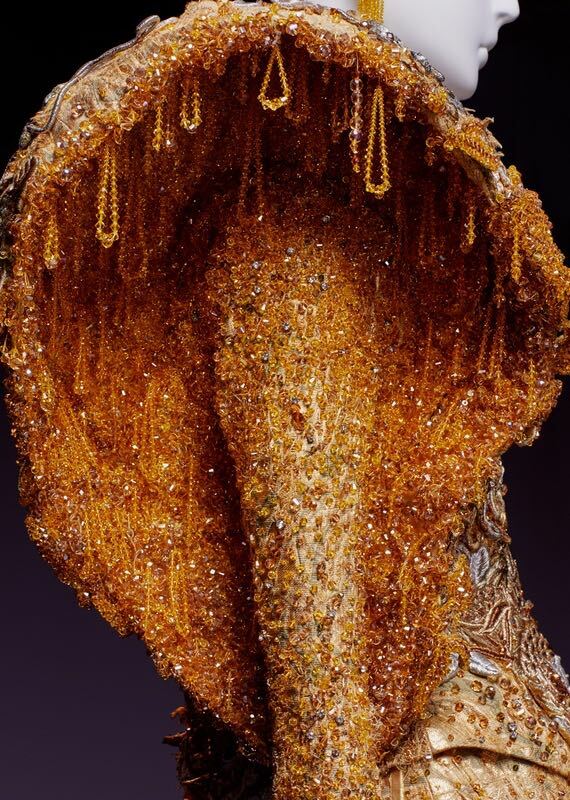 "With works by one of the fashion world’s game-changing icons, Guo Pei: Couture Beyond marks the first time the Gallery is presenting an exhibition focused on the intersection of art and fashion as a dimension of visual culture," says Kathleen S. Bartels, Director of the Vancouver Art Gallery. 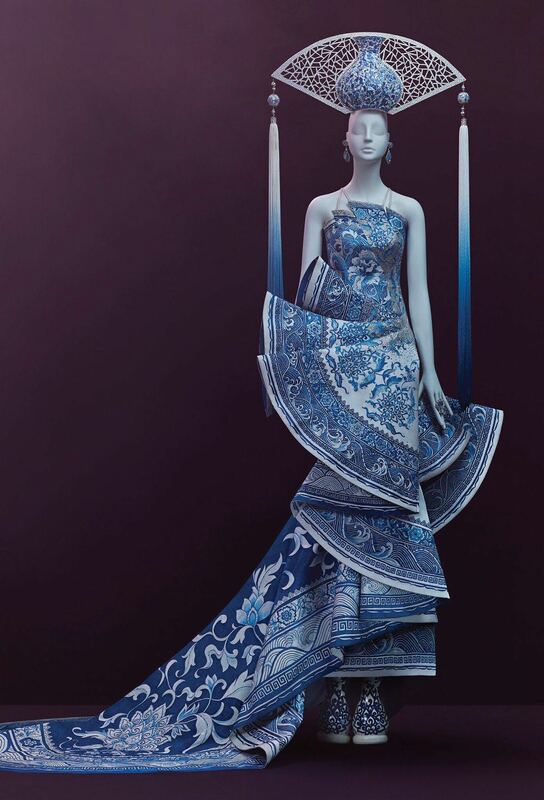 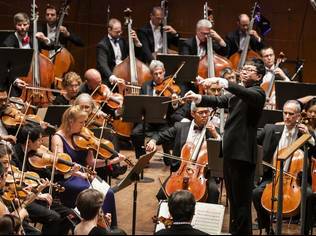 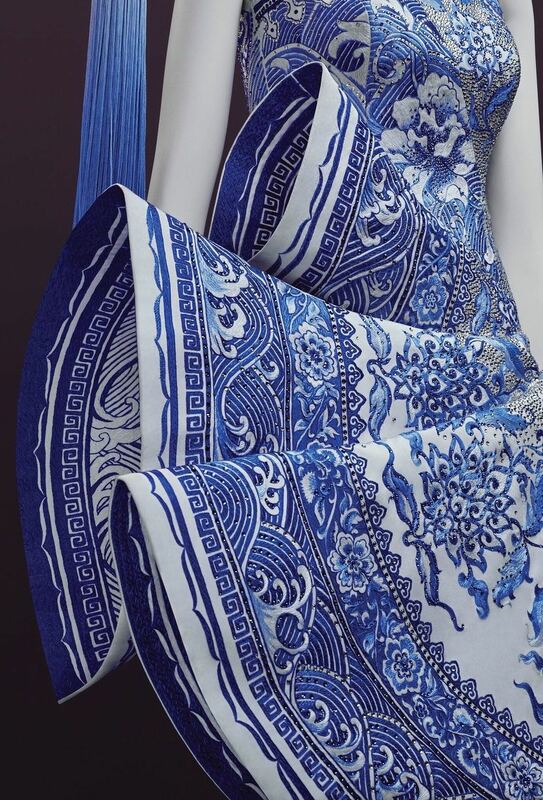 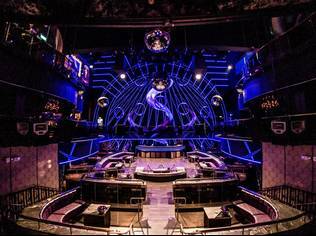 "Guo’s pursuit of excellence is unmistakable in every stitch of her creations. 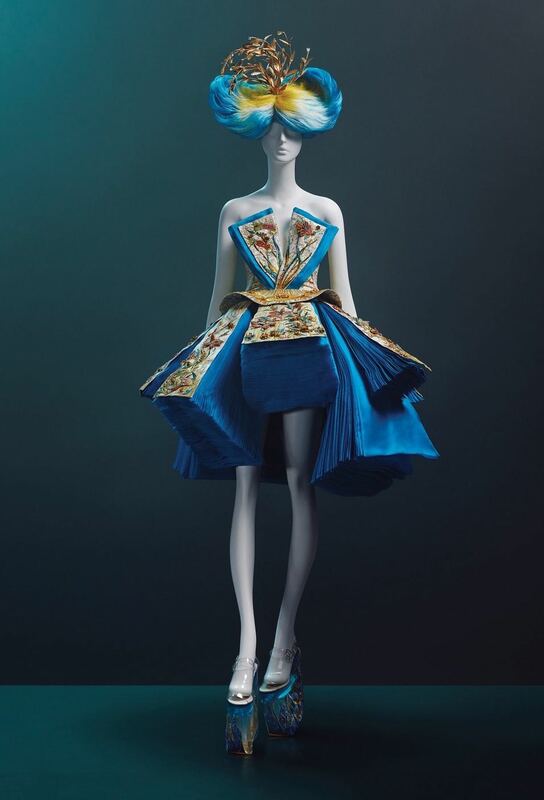 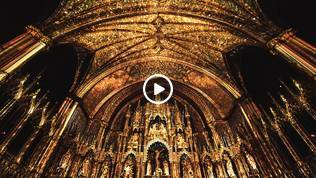 Each of her designs is a masterpiece and feat of craftsmanship that will undoubtedly captivate fashion-savvy visitors and art-lovers alike in this Canadian premiere." 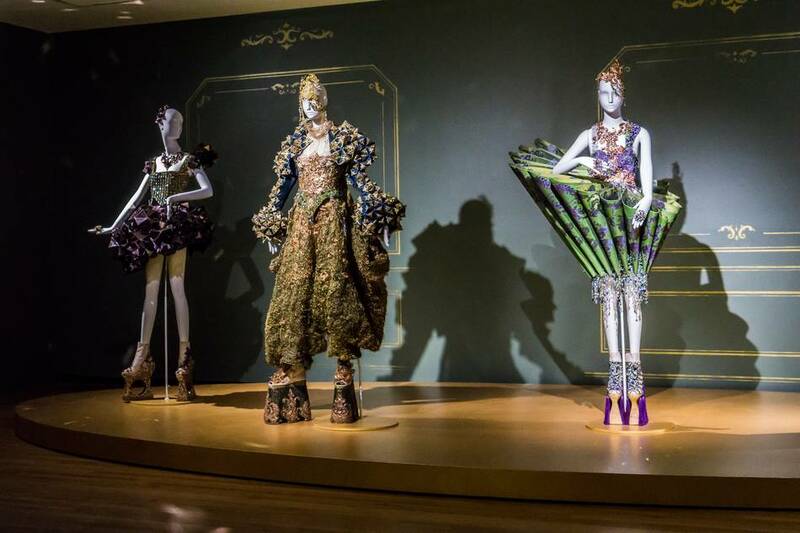 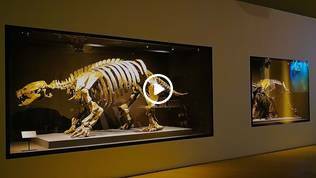 Organized by the Vancouver Art Gallery in collaboration with SCAD FASH Museum of Fashion + Film and curated by Diana Freundl, Associate Curator, Asian Art and Stephanie Rebick, Associate Curator. 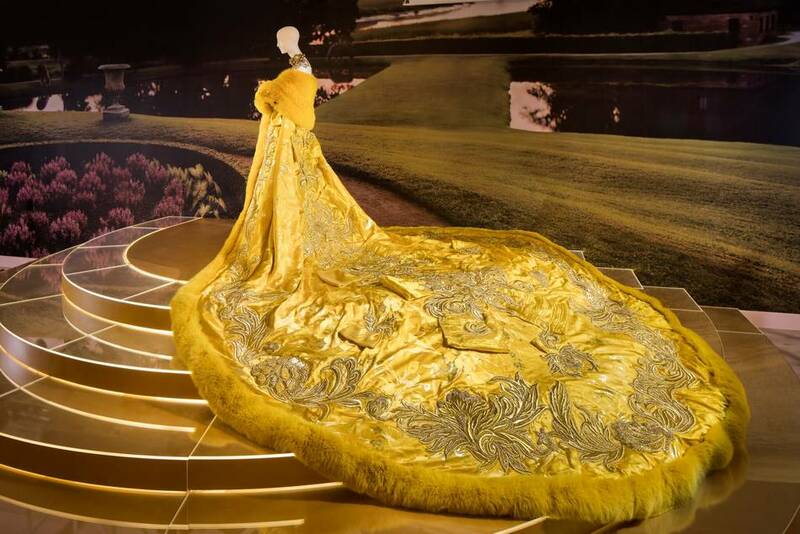 'Guo Pei: Couture Beyond' at Vancouver Art Gallery runs from 13 October 2018 to 20 January 2019.